Megan Markle has received a lot of media attention after she started dating Prince Harry. However, her co-star Patrick J. Adams says that he has her back, whatever the future holds. Patrick spoke to the media and said that he was very happy for his co-star, but understands that the media can make it quite difficult. However, he said that Megan was very level headed and will be able to deal with the attention professionally. Patrick went on to say that Megan was like a little sister to him and she has achieved a lot in a short period. He said that he did not know what the future holds for the couple, but if marriage is in the cards, he would not know what to wear for a royal wedding. 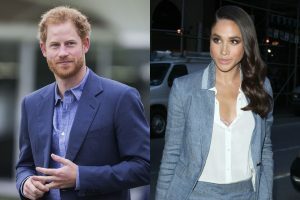 Megan and Harry started dating a few months ago, and the star has visited the Prince in London, and Harry visited Canada, where her TV-show is filming. The couple has a lot in common and enjoys promoting humanitarian causes. Sources say that the couple is in love and are said to announce their engagement next year. But the couple has remained very private and had yet to comment on their relationship plans. Patrick, who just got married to the Pretty Little Liars alum Troian Bellisario in a rustic wedding ceremony last December, said that he is excited about the couple and wishes them well.